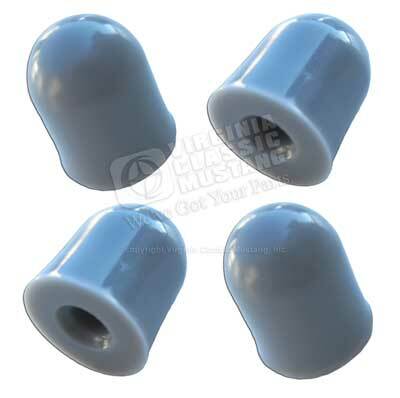 These gray rubber tail lamp screw protector tips fit a 67-68 Mustang. They mount over the tail light bezel mounting studs in the trunk area of the Mustang. Sold as a set of 4.